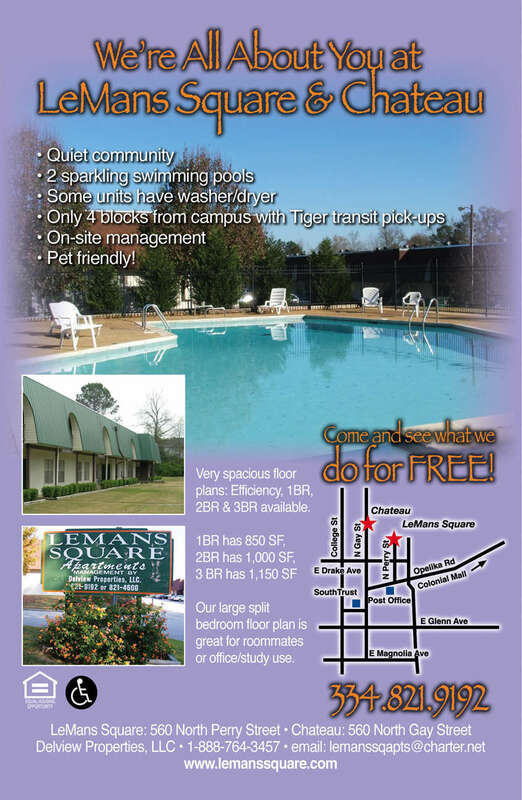 Call now or fill out the form below and a LeMans Square Apartments apartment in Auburn, AL representative will contact you shortly. Quiet Secluded Community surrounded by trees. On Tiger Transit route and only 4 Blocks from campus. Pet Friendly under 25 lbs. All Electric, Property Furnishes, Water, Sewer, Garbage Dumpsters and Pest Control Tenant pays for electricity and cable. 1 block north of Auburn Post Office on Perry St.